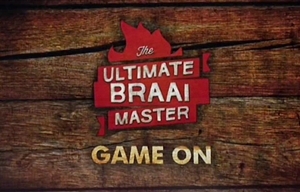 The Ultimate Braai Master is a South African reality competition television series produced by Cooked in Africa Films and hosted by Justin Bonello which features 15 teams of two contestants each (consisting of a Braai Master and a Braai Buddy) in a gruelling culinary adventure spanning thousands of kilometres as they compete for the prize of R500,000 cash; a new car and the title of South Africa's Ultimate Braai Master. With five seasons of Cooked and four best-selling cook books under his belt, Justin is proud to be presenting and producing a local reality TV series that showcases the beauty, diversity, unique flavours and local delicacies that characterise some of South Africa's best off-the-beaten track locations. Earning the "Ultimate Braai Master" title is no picnic. Teams have to sign up for a 52-day road trip, during which time they are expected to occasionally catch their own food, source their ingredients under the toughest conditions and cook to a standard of culinary excellence that shatters the stereotype on the kinds of meals that can be produced on an open fire. Teams who can't stand the heat will face elimination, which could see their dreams quickly turning to ashes if their road trip comes to a premature end. Cook, traveler and lover of life, Justin Bonello is a veteran presenter and producer, as well as founder of one of South Africa's leading film production companies, Cooked in Africa Films. Justin has combined his three favourite things – Southern Africa, food and friends – into his daily work. Bertus started cooking at the age of 17, spent three years in London where he worked at the Michelin restaurant, Chez Bruce, in Wandsworth. He describes his work at this restaurant as the moment that changed his life because this is where he honed in on his culinary skills. He believes the experience provided him with real-life training that couldn't be learned in a college. On his return to South Africa he opened a few restaurants, a vending business, makes wine and is involved with several good causes in the Stellenbosch area. He was named the Game Changer by Men's Health magazine on February 2014. Petrus Madutlela (31) was born in Motholung just outside Brits, North West Province and started out as a general worker at a local club. The Head Chef noticed his enthusiastic personality and gave him an opportunity to create top-class food across the world. The scholarship recipient has represented South Africa on many occasions and has worked for varied establishments such as Le Quartier Francais, Avianto, Sun International and the Aqua Restaurant at the Sibaya Casino. Celebrity chef Pete Goffe-Wood made his mark on the Cape Town food scene back in the early 90's when fusion food was still a novelty in South Africa. His bold and brave Asian-European- and African-inspired combo creations raised local food eyebrows. Celebrity chef Benny was born and bred in Alexander in Johannesburg. He graduated from what is now the Durban University of Technology with a diploma in catering management, and thereafter commenced his culinary journey, which would see him become executive chef at the then Mondo Vino restaurant at Montecasino in Fourways, Johannesburg. He is currently the Executive Chef at Tsogo Sun. The series premiered on SABC3 on Thursday 13 September 2012, at 20h00. After two seasons it moved to new broadcaster e.tv, in September 2014.